Braided fashion leather vest. A great design available made of genuine cowhide soft leather, full front YKK original zipper, comfortable slim fitting, braided detail, side straps details. Get it right now for a featured modest price. 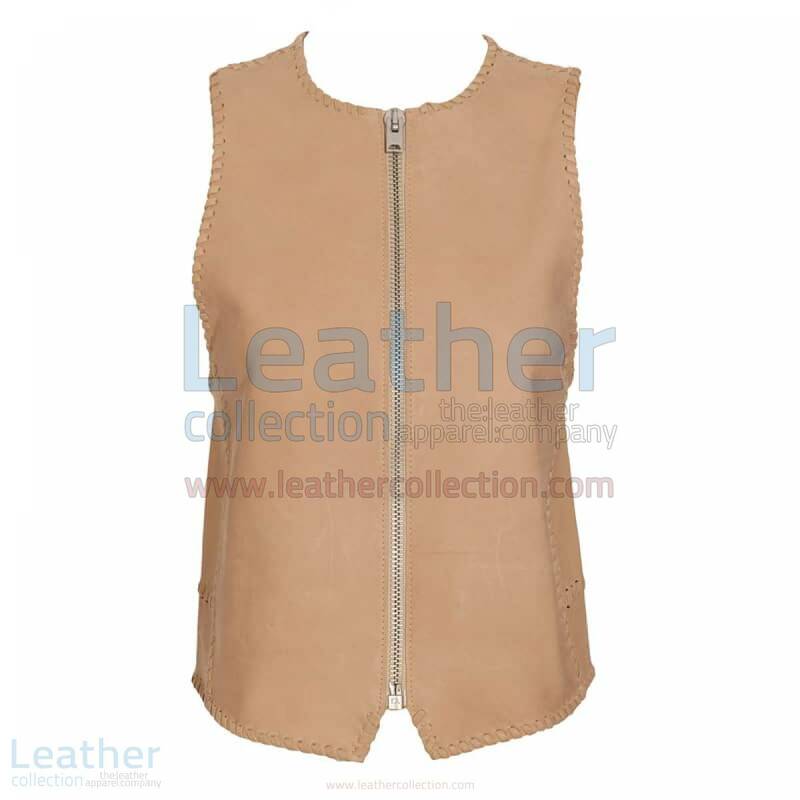 Braided Leather Vest Outer Shell: Braided leather vest is made of genuine cowhide soft leather. Full front YKK original zipper. Comfortable slim fitting. Braided detail. Side straps details. Safety stitch. Inner Shell: Satin lining is used in braided leather vest. 2 interior pockets. Safety stitch.